Vagabond Heart, TP4955, is a Transpac 49, built by Transpacific Marine in Taipei. She is hull number 55. 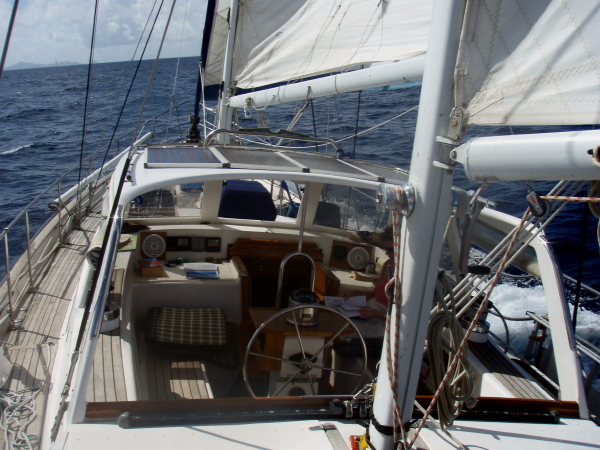 She completed her second circumnavigation in November 2009 sailing into Bundaberg, on Australia's east coast. 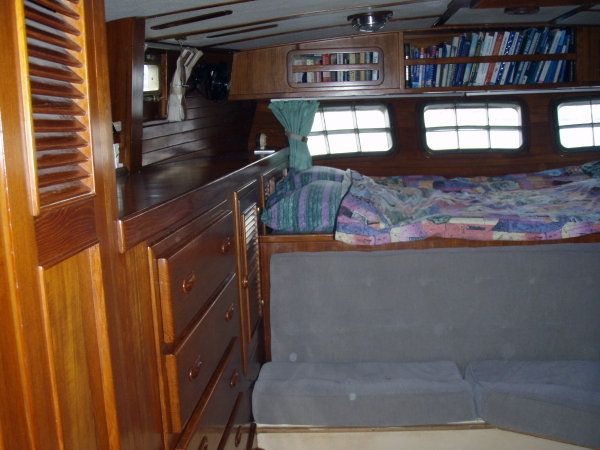 Built for Bill and Mary Moore in 1985, she has been a bluewater traveler all her life. The Moores cruised extensively in SE Asia and the Pacific, before passing her on to the Stone family who circumnavigated over a seven year period from 1995 to 2002. 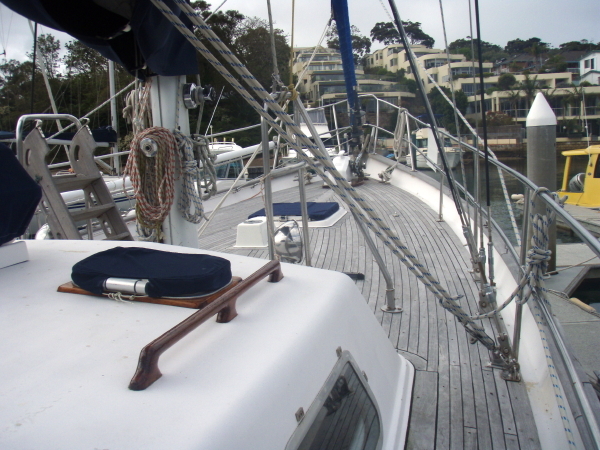 Taking over the baton, the Hawkins family kept her in Sydney for a couple of years, refitting a few key systems, before leaving for our own circumnavigation in 2005. We returned to Sydney in December 2009. It has been an extraordinary, life changing experience for all of us and we are so glad we had the good fortune to find Vagabond Heart. 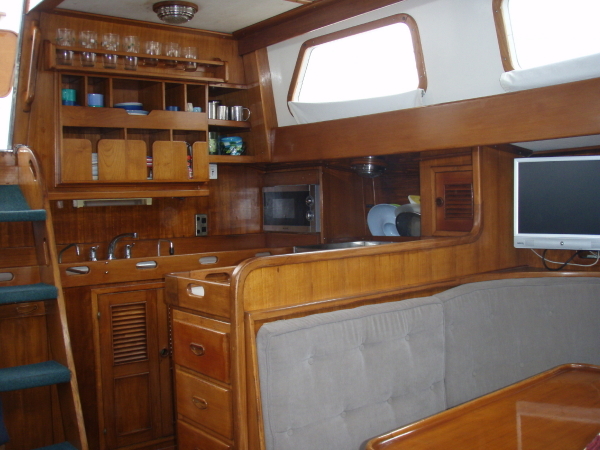 Having a growing family of 5 we needed a safe, spacious, easily handled yacht that also sailed well. Vagabond Heart is all of this and more. 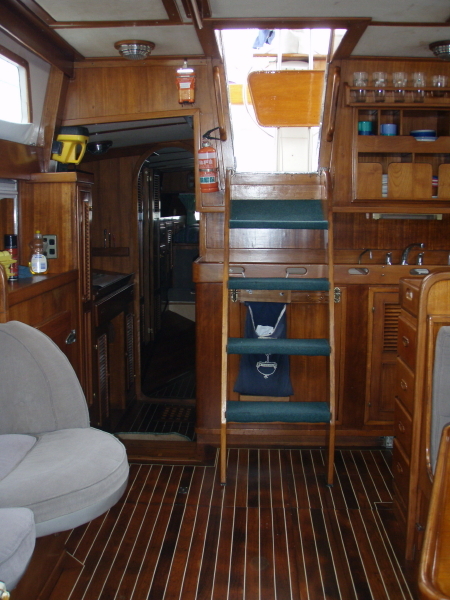 A great sea boat and beautifully fitted out down below to make her comfortable and fun for the family. She has proved to be the perfect home, carrying us in comfort, style and safety everywhere we have gone. She has been a fantastic boat for us in our adventure and I know the previous owners felt exactly the same. Finding the right boat had not been easy, in fact it took nearly 2 years of searching. 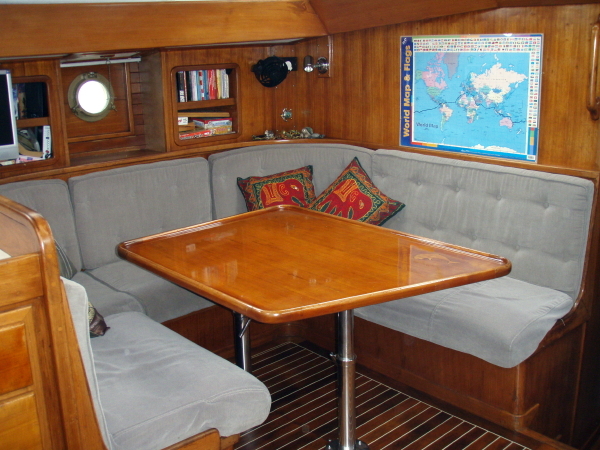 We found many good cruising boats, but they were mostly designed with a couple in mind, accommodating 2 adults with room for friends to visit but not necessarily stay for long. 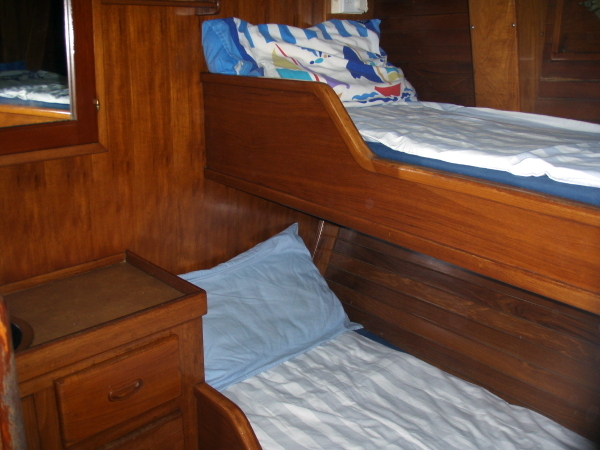 With three growing children we needed 3 cabins and plenty of storage. 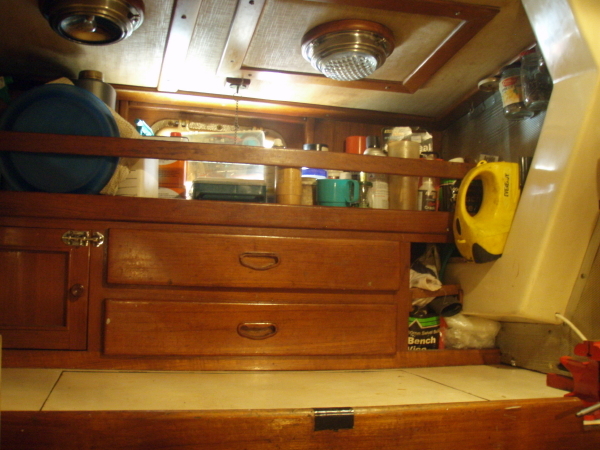 We also needed a safe, dry boat with a decent sized cockpit we could use in most weathers, gunwhales and strong life lines. 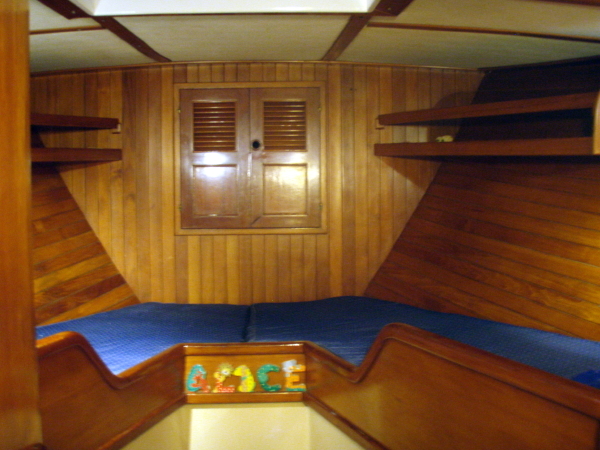 That way the children would not be confined below and could venture on deck in safety. Good sea handling and strong sailing ability both upwind and downwind were also important because, at the end of the day, the sailing should be fun and shorter passages are safer passages. Then we found Vagabond Heart. The fact that she had already circumnavigated with a family was a very good sign and even a cursory inspection showed she had all the right boxes ticked. 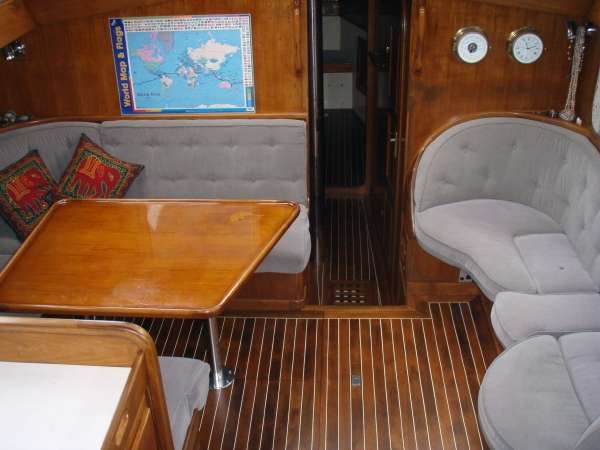 Here was a proven design, she looked great and the interior fitout was not only good looking but extremely practical. This latter, in particular, stood her apart from many of the otherwise good cruising boats we met in our travels. 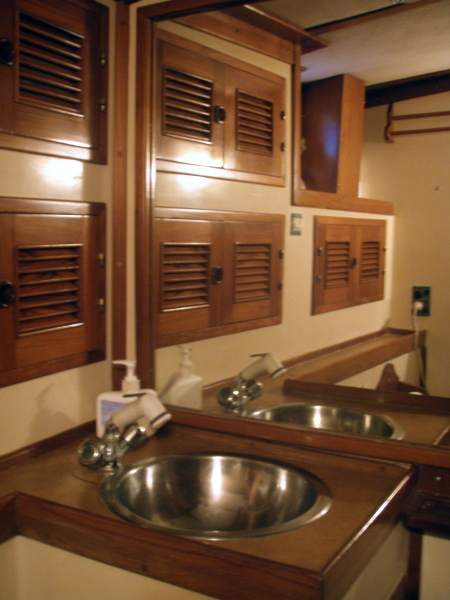 A walk in engine room allows easy access (much appreciated by mechanics) and all the main systems, plumbing and wiring are accessible through removal panels. 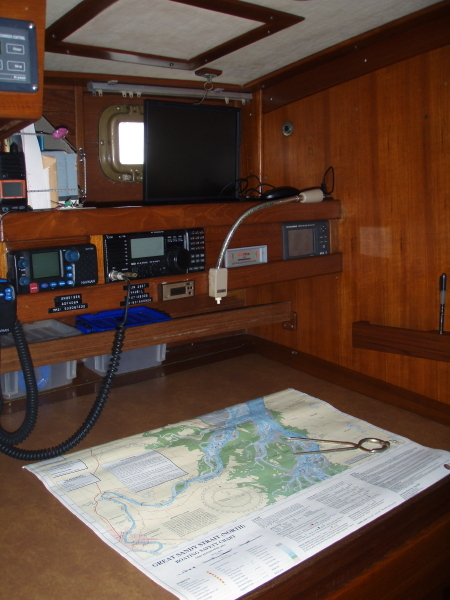 Whether you are maintaining your own boat or paying a professional to do the job, this becomes so important. For us though the real standout only became obvious as we began to travel, to undertake long passages and to meet a huge variety of cruising boats along the way. She is a great sea boat - dry, steady and very easy to sail short handed. 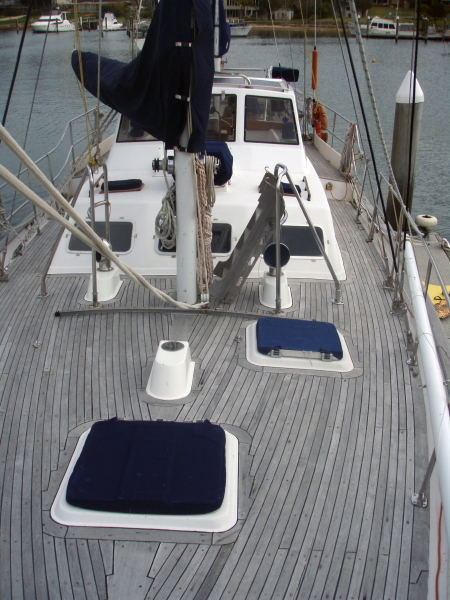 She regularly cruises at 6 to 7 knots, and we sail her very conservatively with the three kids on board. On the long passages we have been making this year we have had really fine sails and gone very well in comparison to many of the boats in the "fleet". She is built to eat up the miles in comfort and also provide a lovely home for a family wherever we drop the hook. Many times others would report having had an unpleasant, uncomfortable passage when we arrived rested after a good trip. 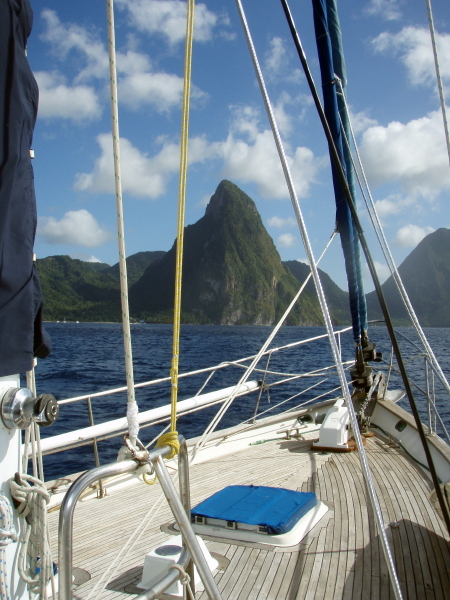 Our most common rig is twin headsails, genoa poled out to windward and the mizzen. 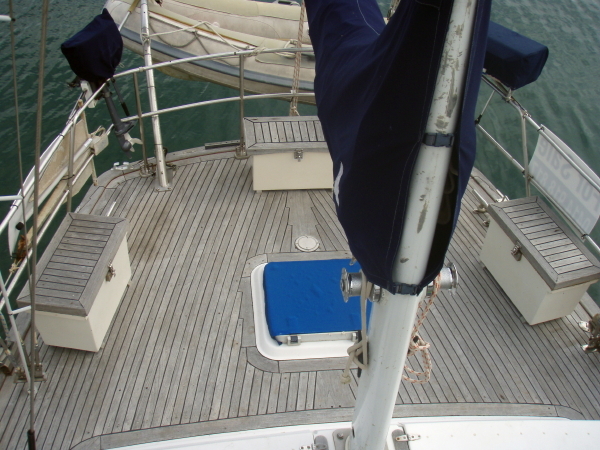 With the wind greater than 120 deg we can run forever like that; the jibs support one another, counteract the roll and the mizzen is far enough away not to interfere. It is also one of the fastest points of sail and very easy to handle (no main and roller furling on both jibs). Almost no weather helm at all. We can carry this up to 25kn when we then drop the mizzen. At 30kn we furl a piece of each jib as needed. She feels safe and balanced and we have done many 1000s of miles like this. Having said that, with genoa, main and mizzen she will sail well to windward when needed and with staysail and mizzen alone she can handle heavy weather with confidence. 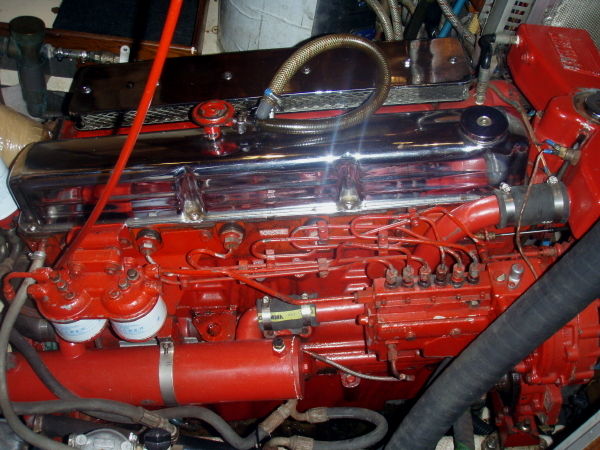 With her cruising weight we need about 12/13kn over the deck to get her up to boat speed, and below that, if we need the pace the large Ford is a beauty - we have the 135hp Lehman. 6 cylinder, large, slow revving (cruising at about 1500rpm) and relatively frugal - we carry 950ltrs so have over 200hrs range. So you can probably tell we love our boat. Apart from a few minor upgrades I wouldn't change a thing of her design. The only alternative for us would be a catamaran and then we would be talking a lot more money for an equivalent boat. In fact more than one of our cruising friends with cats have said that this is the only mono they would ever consider. So what next for Vagabond Heart? We will continue to live aboard her for several months, enjoying the Sydney summer cruising and also easing the transition back to shore life. She will then be looking for a new owner, hopefully another family, with a new adventure planned and sea salt in their veins. This is not a boat to sit on a mooring, to be sailed on the odd weekend. She needs to be out there doing what she was built for. For a detailed specifications sheet, please click here. Below are a few photos of her layout and overall setup. 3200 miles of the most glorious sailing. We sailed like this for days on end without touching the rig. Life went on as Vagabond Heart romped along at 7+ knots in this wonderfully remote part of the planet. This was our finest sailing and a 21 day passage we will never forget. From Bequia to Petit St. Vincent we enjoyed the reach and caught a beautiful king fish. On our way across the north coast of Venezuela from Grenada to Bonaire was a fast downwind romp.